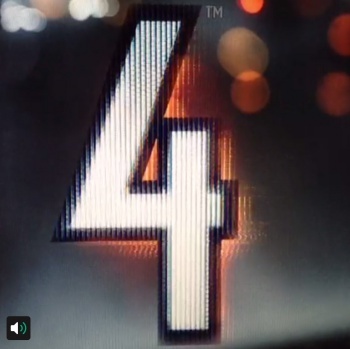 Like some kind of audio/visual ouroboros, EA released a video this morning that serves as a teaser for the upcoming debut trailer for the imminent Battlefield 4. Videogames are big business. The industry pulls in well over $50 billion each year, and that number is only rising. It should come as no surprise then that trailers for videogames are also big business. They serve to promote upcoming releases and are often the first look at a new title most prospective buyers will see. That said, we now live in a world where trailers get their own trailers. Let that sink in for a moment before you continue. This morning EA's official Twitter account for its wildly successful Battlefield series spat out the following 'net-speak soaked missive: "Straight from the video editing suite: Prepare 4 Battle - 03.27! This sneak peek now, more soon. (Please RT!) #BF4" Immediately following those words was a link to a short Vine clip, which is exactly as informative as you'd expect from a video that clocks in at less than five seconds long. We see a hint of a logo, a hastily scrawled date (March 27), and something that looks like a brushed aluminum ... actually, we have no idea what that might be. Point being: As a trailer, this video is intensely uninformative, but as a teaser for a trailer, it does seem like just enough to get fans of the apparently upcoming Battlefield 4 talking and anxiously awaiting the forthcoming, presumably more informative, trailer. We expect that March 27 will mark the debut of that trailer, though beyond that we know almost nothing. There's no hint of what platforms Battlefield 4 might call home (though we have to assume that it will appear on Windows PCs, at the very least), nor anything to suggest what might differentiate Battlefield 4 from its predecessors. Even if we were to make an educated guess, the best we could do at this point is assume that the game will primarily focus on large-scale multiplayer combat. It may be set in the modern era, or it may not be. Battlefield 1942 took place during World War II, while Battlefield 2142 used a futuristic setting, so who knows? We should have more concrete information to share on March 27, but in the mean time, feel free to fill the comments section below with your wildest speculation. If EA and developer DICE won't tell us what the game is going to be about we have no choice but to make things up and keep our fingers crossed that the coolest (or most hilariously stupid) ideas somehow make their way into the game. Personally, I'm hoping the series will leap back to the Dark Ages, yet inexplicably feature cybernetic bears and purely melee focused combat, occasionally punctuated with brief, horrific moments lifted from the worst children's birthday parties ever conceived by the twisted minds of serial killers.